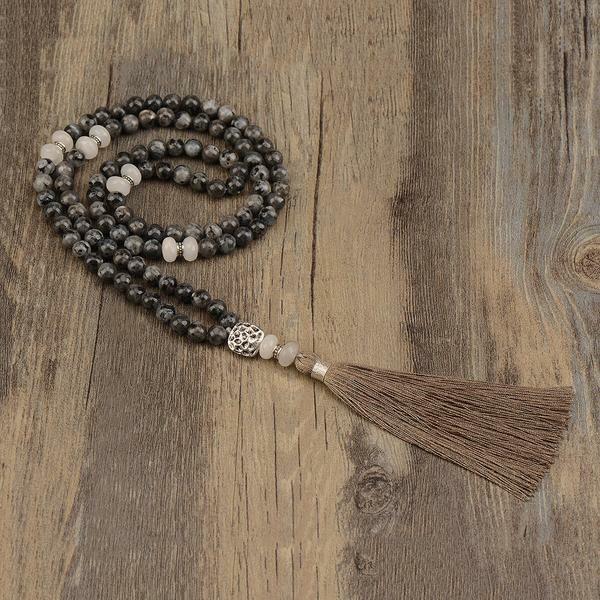 Our Volcanic Mala features a gorgeous selection of Lava stone. Known for its qualities of strength and clarity. It’s believed to provide strength (physical and mental) when facing difficult situations. No two necklaces are the same. 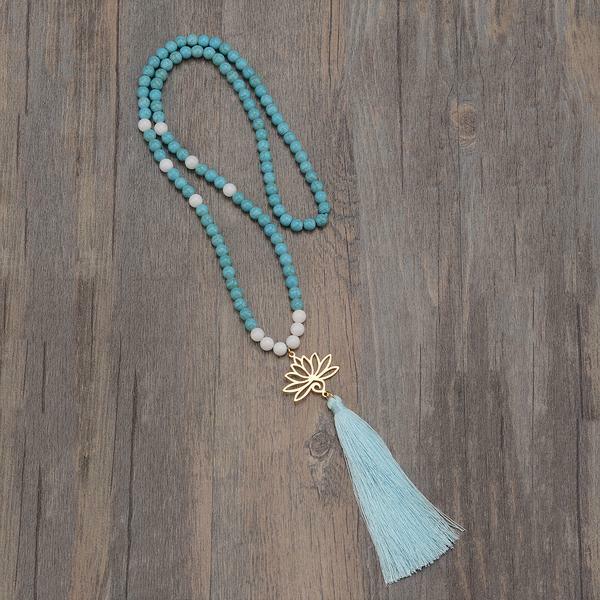 Our Ojas mala necklace is made from turquoise beads that are known for its sacred properties in its adornment and for power, luck and protection. Comprising of Labradorite, and Malaysian Jade, our Nain necklace is pure magic. Believed to enhance abilities of clairvoyance, telepathy, prophecy and coincidence control, while also providing spiritual nourishment, this necklace will connect you with our spiritual counterparts. 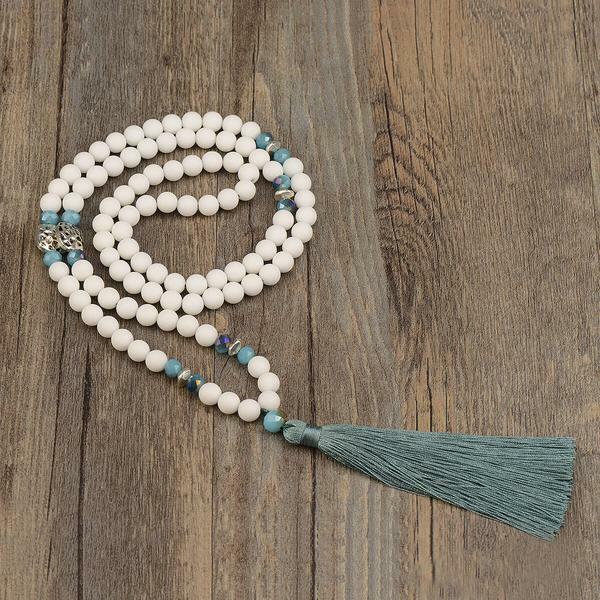 The Prasada mala necklace is known for its healing properties. Made with white howlite, it is believed to decrease an overly state of mind, selfishness, stress and anxiety and brings calm and relaxation. 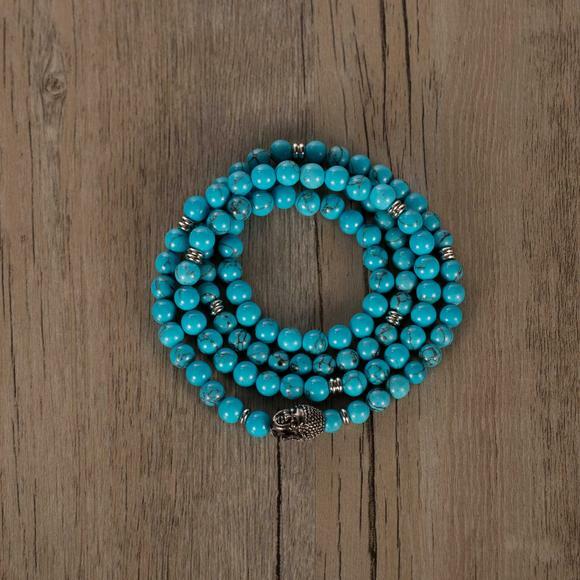 Made with gorgeous turquoise beads, the Kosha mala necklace is a symbol of protection. It is also believed to promote leadership and avoid unwise investments making it ideal to use when making good decisions. 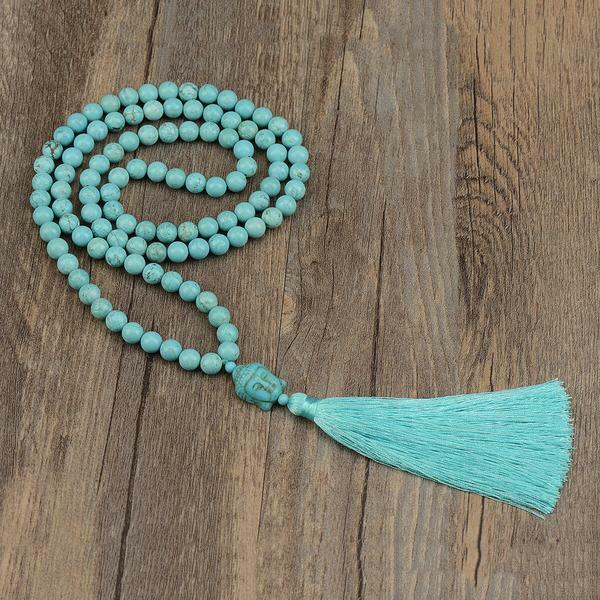 Choosing the right mala can seem daunting. It’s important that you remember that depending on the person, a mala can represent something different or serve a different purpose. No two malas are the same – whether it serves as something to inspire you, as a reminder of your intention, or a tool for meditation, it’s unique and specific to you. 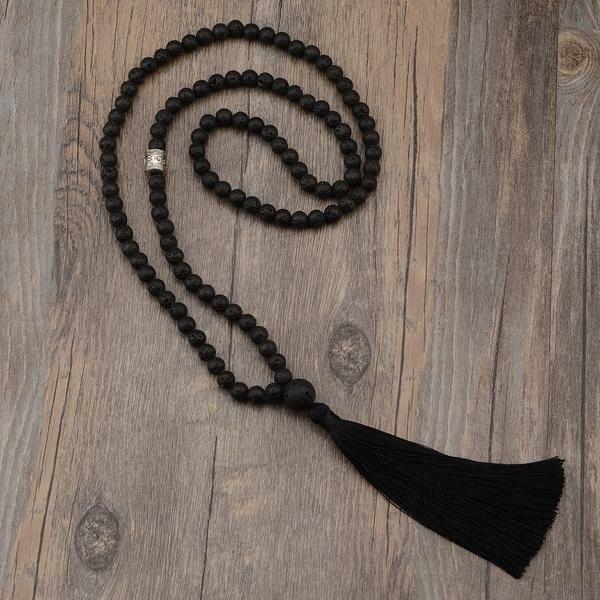 There is no right or wrong way to choose a mala. While some believe that you should study and consider the color, shape, intention, energy and beauty of each mala, we believe that your intuition will guide you. 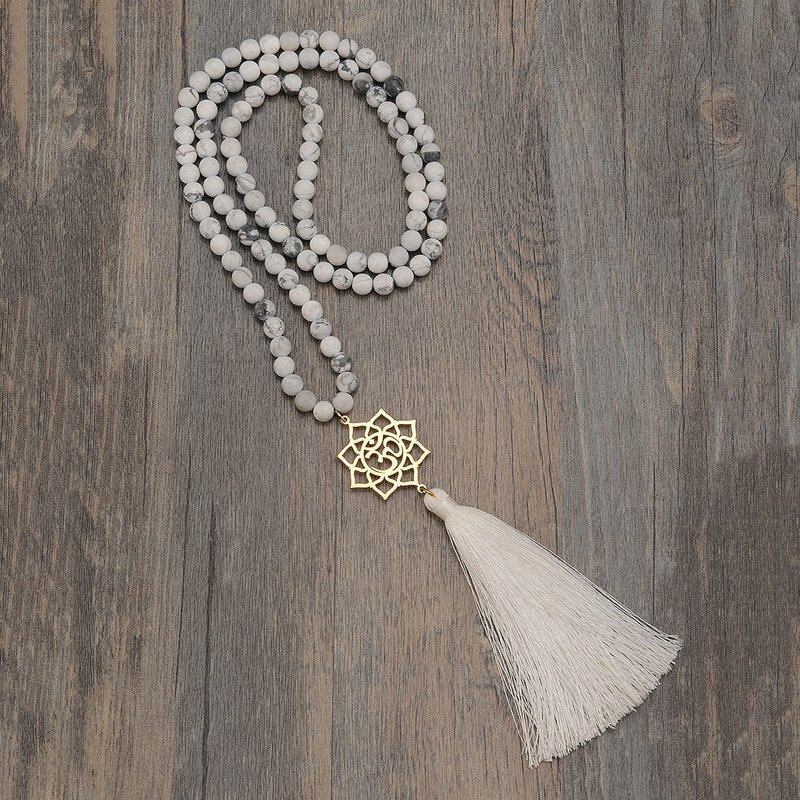 You might be drawn to different malas for different reasons – whichever mala you are first drawn to is often the one that you are destined to have. Regardless of whether you are drawn to it by something as simple as color or stone, we suggest following your heart and allowing it to happen. Once you feel you have chosen your mala, we recommend doing some research and learning about the intention and meaning of your chosen mala. You might be pleasantly surprised – more often than not, it will be exactly what you’re looking for in that moment. Your intention helped guide you there. Depending on your answer to these questions, there may be a mala that is more suitable to you than others, on paper. 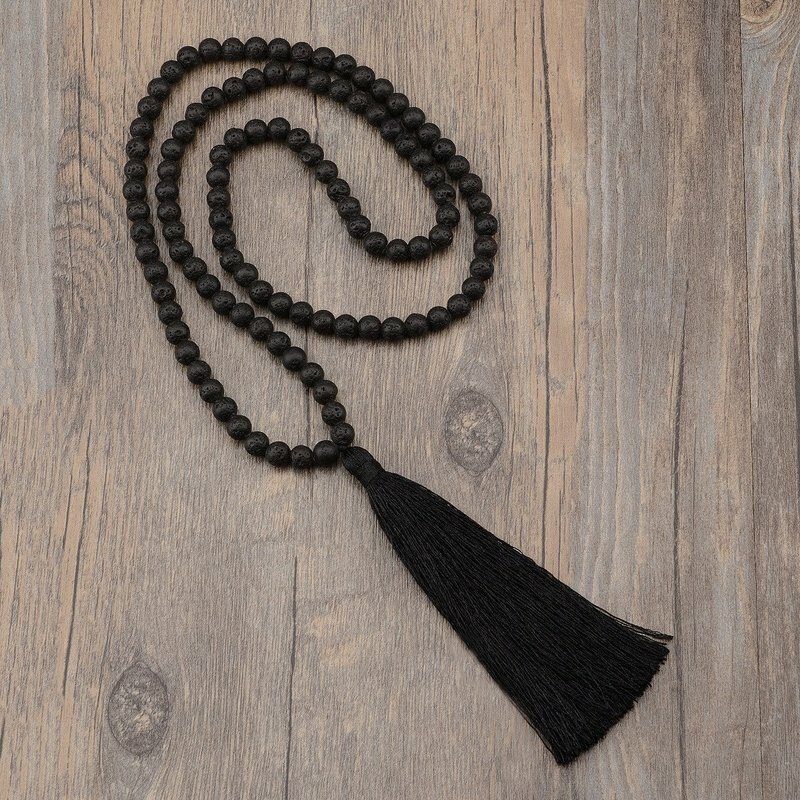 However, if different to the mala you were initially drawn to, we strongly encourage you to compare the two – What drew you to your initial mala? Where do these malas differ?